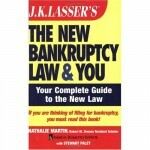 Will 2009 Bring Major Bankruptcy Law Changes? We Have Had Harsher Bankruptcy Laws Since 2005. During President Bush’s administration it became more difficult for individual consumers to seek bankruptcy relief. In 2005, after aggressive lobbying efforts by the credit card and banking industries, Congress agreed to enact harsher bankruptcy laws. The 2005 Bankruptcy Amendment Act became effective on October 17, 2005. Thereafter, consumer filings plummeted. The Economy Has Severely Deteriorated. Since that time, the country’s economic climate has changed dramatically for the worse. After an incredible boom in the housing market, the real estate bubble started bursting in 2007. The following year saw a total collapse of real estate-backed securities. After months of national headlines focusing attention on the sub-prime mortgage meltdown, news shifted to the tightening credit market and the precipitous drop in the stock market. Numerous companies began closing their doors and laying off employees. As the national housing crisis has worsened, foreclosures have climbed to record levels. Bankruptcies on the Rise Again. Recently-released data reveals that almost 1.1 million Americans filed for bankruptcy in 2008, a 32 percent increase from the prior year, as a recession has forced many consumers to seek protection from creditors. This is a record number of filings since the laws were changed three years ago. Shift in Public Policy Now Favors Bankruptcy Change. With the worst financial turmoil this country has seen since the Great Depression, there has been a marked shift in public policy towards bailing out the financial sector and the auto industry, and protecting homeowners who can no longer afford to make payments on their mortgages. Obama will likely seek to change the bankruptcy laws to help people avoid losing their homes, a step that the Bush administration and the mortgage industry have greatly resisted. As president, Obama will have the ability to control the actual bankruptcy laws, as well as the interpretation of the current or future bankruptcy laws, in several ways. First, it is unlikely that there will be any harsher measures proposed under the new Democratic administration. Thus, any proposed legislation will undoubtedly be pro-debtor, which Obama will probably support and sign into law. Cram-Down Legislation Just Introduced in Senate. 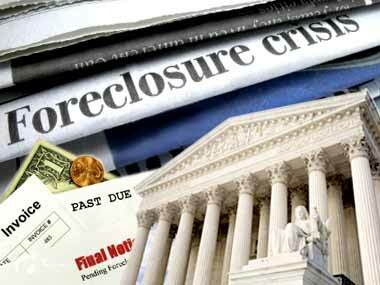 Congressional Democrats have wasted no time in advancing legislation to change bankruptcy rules, with the aim of reducing home foreclosures . On January 6, 2008, Senator Richard Durbin (D-Illinois), the second-ranking Democrat of the U.S. Senate, introduced legislation that would permit debtors in bankruptcy to erase or “cram-down” some mortgage debt. Current bankruptcy law only permits homeowners to cram-down second mortgages, and then, only if the mortgage is totally under-secured by the value of the property. Consumer debtors have been prohibited from modifying mortgages with a cram-down since a 1993 Supreme Court decision that banned the practice. Senator Durbin previously introduced this new cram-down legislation in 2007, but due to Republican opposition, the measure failed to pass on several occasions The proposed law was almost passed several weeks ago when it was included in the $700 billion bank bailout bill. However, it was removed just before the package finally passed. Obama Will Likely Sign Cram-Down Laws. There is a good chance the legislation will pass in 2009. President-elect Obama co-sponsored Senator Durbin’s bill in 2008 and said that it would be a priority in 2009. There is also a strong possibility that legislators will attach the bill to Obama’s proposed economic recovery stimulus package now being drafted in Congress, which means that it could be approved as early as February. There Will Still Be Opposition. The financial services industry will certainly try to fight the proposed reform, claiming that it will increase the cost of obtaining mortgages as banks will absorb large losses and will need to pass along this cost to consumers. However, the circumstances under which the bill previously failed have changed significantly, and home foreclosures are reaching epidemic proportions. With roughly two million foreclosures expected this year, politicians refusing to support the bill will certainly be unpopular. Although the legislation might need to work its way through Congress over a period of several months, many pundits predict that the bill will indeed become law. Long Island Bankruptcy Attorney Craig D. Robins, Esq., is a frequent columnist for the Nassau Lawyer, the official publication of the Nassau County Bar Association in New York. This article appeared in the February 2008 issue of the Nassau Lawyer. Mr. Robins is a bankruptcy lawyer who has represented thousands of consumer and business clients during the past twenty years. He has offices in Medford, Commack, Woodbury and Valley Stream. (516) 496-0800. For information about filing bankruptcy on Long Island, please visit his Bankruptcy web site: http://www.BankruptcyCanHelp.com. New Laws Just Became Effective. On October 17, 2005, the Bankruptcy Abuse Prevention and Consumer Protection Act of 2005 (BAPCPA), this country’s most sweeping bankruptcy legislation in decades, became effective. The Act, which is 512 pages in length, contains so many changes that it affects nearly every aspect of the bankruptcy case, even including the way the practitioner can interact with his clients. Flood of Last-Minute Bankruptcy Filers Brings Clerk’s Office to a Halt. There were so many filings the week before the new laws went into effect that the Bankruptcy Court clerk’s office in Central Islip was unable to handle the flow. The clerk’s office initially anticipated shutting down its electronic case filing system for twelve hours to process the new filings and to implement the new software to handle the new petitions. However, the most recent announcement from the clerk’s office was that it would be unable to accommodate any new filings (except for emergency cases hand-delivered to the clerk’s office) until October 31. A front-page article in the New York Times on Friday, October 14, 2005, showed a photograph of a line of people a block long waiting in the rain for five hours to file last minute petitions at the Bankruptcy Court in Manhattan. Similar stories echoed throughout the country. Fear of the drastic changes in the new law was enough of a motivating factor to compel tens of thousands of consumers to file for relief at the last minute. The New Laws are Greatly Disliked. It appears that apart from the financial services industry who lobbied for the changes in the law, virtually everyone else, from debtor’s attorneys to professors to trustees to judges, are very unhappy with the new law for various reasons. For one, BAPCAP is extremely complex and imposes a new means test as a filing prerequisite. This will have the effect of making bankruptcy less accessible for many debtors and much more expensive. Many general practitioners who previously handled routine cases will certainly be intimidated by the complexities of the new law as well as new provisions which place great liability on the attorney. Judges and professors have complained that many provisions of the new law have been drafted atrociously. Whereas prior legislation was drafted with the assistance of some of the finest minds in the bankruptcy world, the new legislation was mostly drafted by lobbyists with relatively little knowledge of real life bankruptcy practice. What Has Changed with the New Law. Discussing each and every provision of the new law could easily fill a thousand of these columns. The means test is a major component. Its ostensible purpose is to determine, after a series of calculations, whether a debtor who seeks to file for Chapter 7, would be abusing the bankruptcy laws because the debtor could afford to pay something back to their creditors. In addition to this totally new procedure, there are new provisions for determining property of the estate and calculating exemptions. 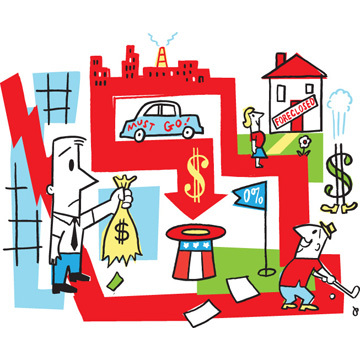 There are new procedures for valuing assets. There are new laws concerning the automatic stay, which will not be so automatic in some instances. Treatment of secured claims has changed and debtors will likely have to reaffirm secured debts, a procedure that had been mostly done away with in this jurisdiction during the past decade. Matrimonial obligations are now treated totally differently in a way to designed to protect the innocent spouse. There are new exceptions to discharge. There are also greater limitations upon re-filing after a previous petition has been filed. And don’t forget, debtors must receive credit counseling as a condition to filing for bankruptcy relief, and budget counseling as a condition to receiving a discharge, and you will certainly need to assist them with this. The Means Test: One of the Most Difficult New Provisions. The essence of the new law is the means test, a six-page, fifty-five-line item, computational form that makes the most complicated tax return form look like a walk in the park. This form alone will intimidate the most seasoned practitioner and will likely have the effect, intended or not, of preventing many people from filing for bankruptcy for various reasons. Learning how to utilize this mandatory form, and how to properly input correct information and figures, poses a great challenge. The trap here is that if the attorney slips up and incorrectly prepares this form, he can be sued by the creditors and sanctioned by the court. About the Author. Long Island Bankruptcy Attorney Craig D. Robins, Esq., is a frequent columnist for the Nassau Lawyer, the official publication of the Nassau County Bar Association in New York. This article appeared October 2005 issue of the Nassau Lawyer. Mr. Robins is a bankruptcy lawyer who has represented thousands of consumer and business clients during the past twenty years. He has offices in Medford, Commack, Woodbury and Valley Stream. (516) 496-0800. For information about filing bankruptcy on Long Island, please visit his Bankruptcy web site: http://www.BankruptcyCanHelp.com. You Don’t Always Get What You Wish For. This past April, President Bush signed the most sweeping bankruptcy amendment act in decades, granting the credit card and banking industry’s wish for a tougher Bankruptcy Code. For the six months following, the press spouted stories of gloom and doom for consumers seeking to file after October 17, 2005, when the new laws would go into effect. Newspapers painted a grim picture that debt-laden consumers would no longer be able to utilize bankruptcy as a way to alleviate their financial woes. As a result, many consumers developed the impression that bankruptcy was going away for good or that they would no longer qualify. It initially appeared that the new laws were so harsh and slanted in favor of banks and lenders that bankruptcy for the masses would be a thing of the past. However, now that several months have passed, and some of the dust has settled, it looks like the credit card companies may not necessarily have gotten what they wished for. Digesting and analyzing the complex, 500-page-long Bankruptcy Abuse Prevention and Consumer Protection Act of 2005 was something that most attorneys had put off until after October 17, 2005. After all, there was a mad rush towards the end, of consumers seeking to take advantage of the existing liberal bankruptcy laws, which kept bankruptcy practitioners quite busy. 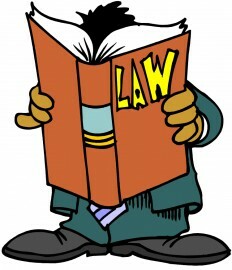 There was also a dearth of legal education seminars to assist attorneys with learning the intricacies of the new laws. Now that I have taken a number of workshops and courses about the new laws, prepared petitions under the new laws (I was the very first attorney to file a Chapter 7 case in this district under the new act), spoken with trustees and colleagues, reviewed commentary by the academics, and conducted my own analysis of the law, I can make some comments on actual practice under the new laws. Although the 2005 Act is still very early in its infancy, and we have barely seen any case law interpreting it, I am now in a position to glean some winners and losers. Secured Lenders: Big winners. Automobile loan lenders are perhaps the biggest winners of the 2005 Act as debtors are now obligated to re-affirm debt secured by personal property in order to keep their cars. In addition, secured lenders now have greater rights in receiving payment through Chapter 13 plans than they did previously. Credit Card Companies: Not the winners they thought they would be. The banking industry that poured tens of millions of dollars into lobbying efforts to get a tougher set of bankruptcy laws probably will not fare as well as they had hoped. For one, the vast majority of consumers will still remain eligible for Chapter 7. Secondly, proponents of the new laws inserted the requirement that debtors fulfill credit counseling requirements ostensibly in the hope of steering a significant number of consumers away from bankruptcy, and into credit counseling payment plans instead. However, it appears that consumers desiring to file for bankruptcy are going straight to bankruptcy attorneys just as they had done before, and the bankruptcy attorneys are then setting up the credit counseling for them. Thus, credit counseling does not seem to be really acting as a deterrent, and instead, it is just a nuisance. Consumers: Not the losers that everyone thought they would be. It appears that about 85% of those consumers who could have filed for Chapter 7 relief under the old laws will still be eligible to file for Chapter 7 under the 2005 Act. Perhaps the most dreaded component of the 2005 Act was the means test, a six-page, fifty-five-line item, computational form designed to weed out from Chapter 7 eligibility those consumers who theoretically could afford to pay back a portion of their debts. However, now that the means test has been actually put to use and thoroughly analyzed, it appears that it was poorly constructed and does not totally do the job its proponents expected it to. For many Long Islanders, the means test will not be a problem because it generously favors homeowners with mortgages and consumers who have car loans or leases. However, consumers who have respectable incomes, but who rent, could end up being ineligible for Chapter 7 compared to similar individuals who pay mortgages and car loans. It also appears that there may be many loopholes within the means test that will enable a savvy consumer to utilize pre-bankruptcy planning to become eligible for Chapter 7 if they are not already eligible. Although most consumers will still be able to file for Chapter 7, they may be considered losers to the extent that they will have to pay higher legal fees, increased court filing fees, and credit and budget counseling fees. In addition, they will have to deal with more paperwork and headaches to demonstrate eligibility, as attorneys must verify this information and trustees may want to review it as well. It also appears that the new laws may enable some Chapter 13 debtors to pay less than what they would have paid under the old laws. 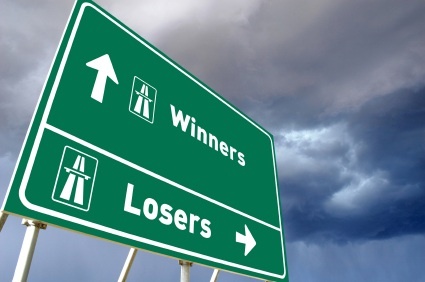 Bankruptcy Attorneys: Losers to an extent. Although the 2005 Act will require the attorney to do much more work, and to increase legal fees for all bankruptcy matters as a result, the additional legal fees will not compensate them for this. However, bankruptcy attorneys who concentrate in the field may get more cases because bankruptcy has become too difficult and specialized for the general practitioner. Attorneys will have more headaches in having to comply with new due diligence requirements to verify the accuracy of information that clients provide. Attorneys will also have more anxiety as the penalties for violating any of the new liability provisions can be strict and can include fee disgorgement plus actual damages including attorney’s fees and costs and possible civil penalties. General Practitioners. Big losers. The complexity of the 2005 Act, together with the new responsibilities that it imposes on counsel, combined with potential attorney liability, has certainly caused most general practitioners to leave the consumer bankruptcy practice. The new bankruptcy laws have just become too difficult for those attorneys who do not regularly handle bankruptcy matters. Trustees: Losers. Trustees now have more paperwork, yet receive the same fees, and may end up with fewer cases. They are also saddled with additional obligations such as having to notify domestic support creditors and agencies whenever a debtor owes a domestic support obligation. In addition, there are greater confidentiality requirements for any cases involving medical or patient records. However, before feeling bad for the Chapter 7 trustees, they will certainly be kept rather for busy for months to come because of the business that will be generated by the record number of consumers who flooded the bankruptcy court with filings just before October 17, 2005, seeking to take advantage of filing under the old laws. Perhaps the trustees will find these cases more lucrative because there appear to be more asset cases in that bunch as the result of many cases filed by debtors without attorneys, who did not understand the concept of exemptions. United States Trustee: Loser. As the ultimate enforcer of policing abusive bankruptcy filings and also having the responsibility to review just about every case in general and appear in all Chapter 11 cases, this office was chronically overworked and understaffed to begin with. Now they have even more work in reviewing the means test filed with each and every case, as well as reviewing cases for substantial abuse under Code section 707(b). In addition, the 2005 Act imposes many new debtor filing requirements such as filing the credit counseling certificates, income tax returns, proof of pre-petition wages, the means test form, etc. The United States Trustee will probably be the entity that ultimately brings applications to dismiss those cases in which debtors have neglected to timely file the appropriate documents, or they may direct the clerk’s office to automatically dismiss a case. Legal Publishers: Winners. Between Electronic Case Filing and the new laws, you simply cannot do a bankruptcy case any more unless you have the most up-to-date (and expensive) computer software. Gone are the days of grabbing a Blumberg form for a few bucks. The legal publishers have been doing a brisk business selling their updated software. Innocent Spouses: Partial Winners. 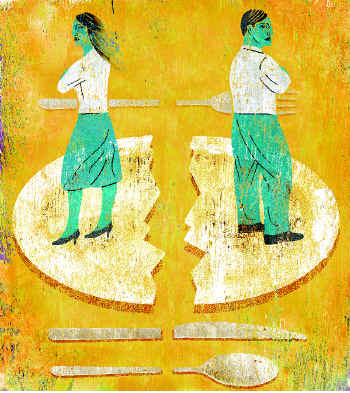 The 2005 Act contains a host of provisions designed to protect innocent spouses that the code refers to as “support creditors,” basically divorcees and single mothers who are owed child support, alimony or maintenance (the Code now refers to these debts as “domestic support obligations”). However, in some instances, increased protection is illusory as secured creditors such as automobile lenders have greater priority over unsecured priority creditors such as innocent spouses. Judges: Losers. What judge wants the headache of new laws that are not popular to begin with, are poorly written, have numerous ambiguities and inconsistencies, and do not necessarily help those consumers who the judges have been trying to help for the past several decades. Judges and professors have complained that many provisions of the new law have been drafted atrociously. Whereas prior legislation was drafted with the assistance of some of the finest minds in the bankruptcy world, the new legislation was mostly drafted by lobbyists with relatively little knowledge of real life bankruptcy practice. I have not heard of a single judge in this country who has had any praise for the new laws. Dedication to Judge Duberstein. I dedicate this column to the memory of Chief Bankruptcy Judge Conrad B. Duberstein, who died in November at the age of 90. He was extremely well liked for his personable nature and ability to entertain, especially in the courtroom. We have all heard his numerous jokes and anecdotes throughout every proceeding. He made practicing before him an enjoyable experience. He had the rare ability to touch each of us in a special way. We will all miss him. About the author: Long Island Bankruptcy Attorney Craig D. Robins, Esq., is a frequent columnist for the Nassau Lawyer, the official publication of the Nassau County Bar Association in New York. This article appeared in the March 2005 issue of the Nassau Lawyer. Mr. Robins is a bankruptcy lawyer who has represented thousands of consumer and business clients during the past twenty years. He has offices in Medford, Commack, Woodbury and Valley Stream. (516) 496-0800. For information about filing bankruptcy on Long Island, please visit his Bankruptcy web site: http://www.BankruptcyCanHelp.com. For seven straight years, Congress has come exceedingly close to enacting sweeping bankruptcy legislation that would make it much more difficult for consumers to discharge their debts. These bankruptcy amendment bills have either passed the House or the Senate, or both. For various reasons they have died before being signed into law. 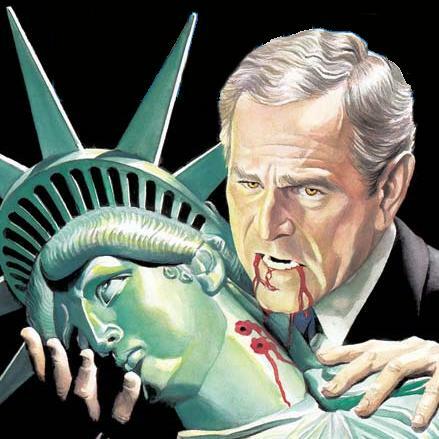 Yet, as analogized in a recent Christian Science Monitor article, the proposed bankruptcy legislation is like a mythical vampire: it constantly dies, yet comes back to life to haunt us the following year, often for underlying political reasons. 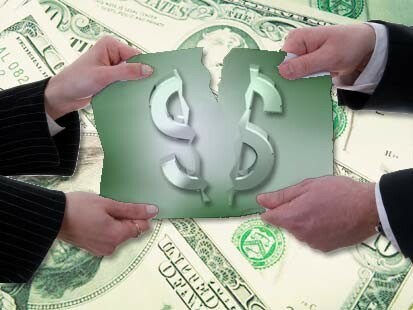 Most bankruptcy attorneys hope that Congress will put a stake through the heart of the proposed legislation. Yet the bankruptcy bill will probably return to haunt us again next year. The reason is simple. Banks, credit card companies and financial institutions have huge incentives to supply big money to Congressional lobbyists and have given generously to the re-election campaigns of members of Congress, especially those Republicans who support the bills. Opponents of bankruptcy reform argue that it is designed to boost profits for consumer lenders by making it tougher for troubled families to get any relief in bankruptcy. Last year credit card companies racked up about $30 billion in profits. Nevertheless, it is unlikely that we will see any new bankruptcy legislation this year – an election year. President George W. Bush, who previously announced that he would immediately sign any bankruptcy amendment bill that was placed in front of him (one can infer that he would not even bother to read it), will certainly not want to incur the wrath of a large number of middle Americans who have lost their jobs and are considering bankruptcy relief. The President is not the only one who does not want to become unpopular at election time with the enactment of a bankruptcy amendment bill. The mostly Republican members of Congress who support the bill and who are seeking election do not want to lose potential votes either. Yet, in all likelihood, we will see more proposed bankruptcy reform legislation emerge from the dead again next year, especially if President Bush is re-elected. President Bush, while campaigning, delivers his constant message on the economy: “We are turning the corner and we are not going back. In another four years, the economy will be better.” Despite this rosy rhetoric, millions of families currently need bankruptcy protection, especially the middle class. Here are some statistics. Bankruptcy filings are way up and at an all-time high. Personal bankruptcies peaked in 2003 with a record 1.6 million cases filed – a rate of 185 an hour. That annual total is nearly double the 812,898 filings in 1993. Last year, Elizabeth Warren, a Harvard University bankruptcy law professor co-authored “The Two-Income Trap: Why Middle-Class Mothers and Fathers Are Going Broke,” and last month, the Wall Street Journal featured a page-one article: “New Group Swells Bankruptcy Court: The Middle-Aged.” The Journal story focused on “an emerging class of middle-age, white-collar Americans who make the grim odyssey from comfortable circumstances to going broke.” Among the villains of this disturbing piece are the unstable job market and staggering amounts of personal debt. It is clear that the middle class, the middle-aged, and middle America, require the ability to obtain bankruptcy relief. Let’s hope that the Vampire’s days are over. About the Author. Long Island Bankruptcy Attorney Craig D. Robins, Esq., is a frequent columnist for the Nassau Lawyer, the official publication of the Nassau County Bar Association in New York. This article appeared in the October 2004 issue of the Nassau Lawyer. Mr. Robins is a bankruptcy lawyer who has represented thousands of consumer and business clients during the past twenty years. He has offices in Medford, Commack, Woodbury and Valley Stream. (516) 496-0800. For information about filing bankruptcy on Long Island, please visit his Bankruptcy web site: http://www.BankruptcyCanHelp.com. Adversary Proceedings. Even what appears to be the simplest Chapter 7 consumer bankruptcy filing may result in an adversary proceeding which is basically a federal lawsuit brought within a pending bankruptcy proceeding. The Bankruptcy Rules provide that certain contested matters in bankruptcy proceedings must be litigated in this way. Bankruptcy Rule 7001 sets forth ten such matters. They include objections to discharge; determination of the validity, priority, or extent of a lien or interest in property of the estate; actions to recover property of the estate; and proceedings to sell property in which the debtor is only a part owner. Bankruptcy Rule 7001 et. seq., sets forth all of the rules applicable to adversary proceedings. Proceedings to Determine The Dischargeability of a Debt. These are by far the most common adversary proceedings that the consumer bankruptcy practitioner may encounter. With the proliferation of consumers seeking to discharge credit card debt through bankruptcy, many credit card companies, banks and other lenders are actively reviewing petitions and credit usage histories to determine if the debtor obtained the debt by way of any fraudulent or improper means. Under code section 523, a creditor can contest the dischargeability of a particular debt that was incurred through false pretenses, fraud, use of false financial statements, embezzlement, or larceny. Contesting the Entire Discharge. Bankruptcy code section 727 allows an interested party to contest the entire discharge for intentional concealment, transfer or destruction of property; unjustified failure to keep books and records; dishonesty in connection with the bankruptcy code; or failure to explain loss of assets. If a trustee requests a debtor to provide documents at the meeting of creditors and the debtor is uncooperative, the trustee will bring an adversary proceeding under this section. Federal Rules Govern. Virtually all of the Federal Rules of Civil Procedure regarding litigation apply to adversary proceedings. These rules are especially tailored to bankruptcy proceedings by Bankruptcy Rules 9001 et. seq. Leave your C.P.L.R. at home and get a copy of the Federal Rules. 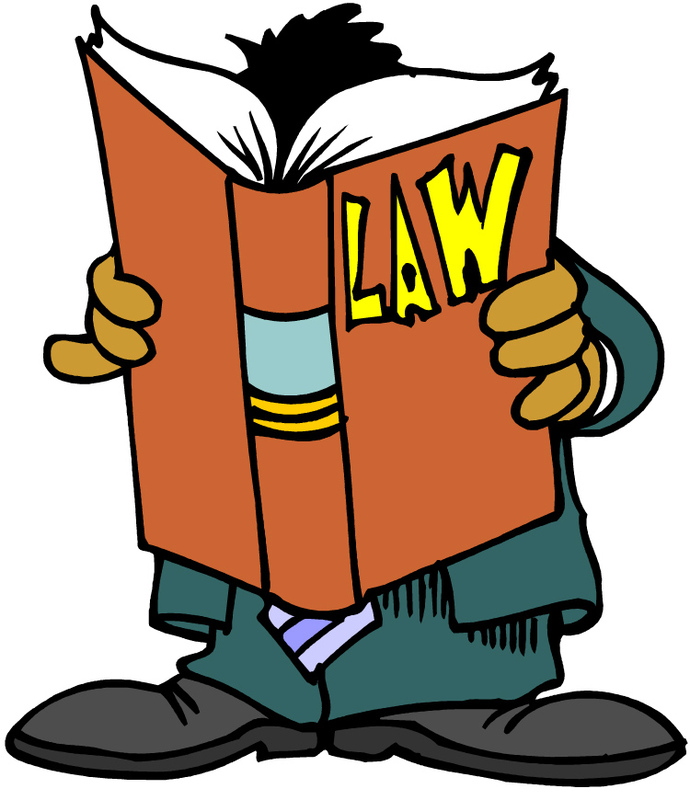 Sometimes the general practitioner is at a slight disadvantage because of an unfamiliarity with Federal law. Service. Most adversary proceedings are served pursuant to Bankruptcy Rule 7004(b) by first class mail upon both the debtor and his or her attorney, although service can be completed by other means as well. Service must also be made within 10 days of the summons date. Bankruptcy Rule 7004(f). Be Aware of the Bar Date. In Chapter 7 proceedings, the court sets a statute of limitations for creditors to file objections to discharge. The bar date is 60 days from the date set for the first scheduled meeting of creditors. Bankruptcy Rules 4004 and 4007. Adjournment of the meeting of creditors does not affect the bar date. Failure to timely file a dischargeability adversary proceeding by the bar date will forever bar the creditor from objecting to discharge. The U.S. Trustee Initiative Program. The Office of the United States Trustee has been scouring cases recently, looking for indications that a debtor has the ability to make a reasonable payment to his creditors. 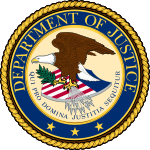 The United States Trustee Program launched a nationwide campaign, dubbed the “Civil Enforcement Initiative,” aimed at “advancing and protecting the integrity of the bankruptcy system.” The initiative was developed when, after years of proposed legislation to stop alleged bankruptcy abuse, none of the proposed bankruptcy reforms became law. Thus, the U.S. Trustee’s Office decided to adopt and implement some of the legislative policy themselves. It appears that the initiative will focus on three key problem areas: ( i) debtors who abuse the bankruptcy system and engage in bankruptcy fraud, by loading up on credit card debt or orchestrating a bust-out; ( ii) debtors who have the ability to repay a reasonable portion of their debts; and (iii) debtors (or their attorneys) who file sloppy schedules, or false and incorrect schedules; and attorneys who provide poor legal representation or charge excessive attorney’s fees. You can therefore expect to see a heightened amount of activity out of our district U.S. Trustee’s office investigating cases to see if debtors have truly filed in “good faith.” The following are my observations of this practice. “Substantial Abuse” – Bankruptcy Code Section 707(b). The U.S. Trustee frequently relies on this section and alleges that a debtor is substantially abusing the bankruptcy system when it believes a debtor has not filed in good faith for one of the above reasons. The Initiative Program Has Become the U.S. Trustee’s Foremost Priority. The Office of the U.S. Trustee is a division of the Department of Justice and has responsibility for overseeing all bankruptcy cases and trustees. Previously, a major portion of that office’s time was devoted to overseeing the administration of Chapter 11 business cases. However, Chapter 11 filings have decreased markedly over the past few years, apparently resulting in the U.S. Trustee’s office shifting their priorities from business cases to consumer cases.